What is the PC material, and what are its purposes? Polycarbonates, more commonly known as PC, are a group of thermoplastic polymers containing carbonate groups in their chemical structures. Although PC are commercially available in a diversity of different of colors (either translucent or opaque), the raw material is able to transmit light internally in a capacity similar to that of glass. The PC material is typically applied to produce a wide range of materials and are especially useful when the product requires outstanding resistance to impact and / or good transparency (for example, when used in production of bullet-proof glass). 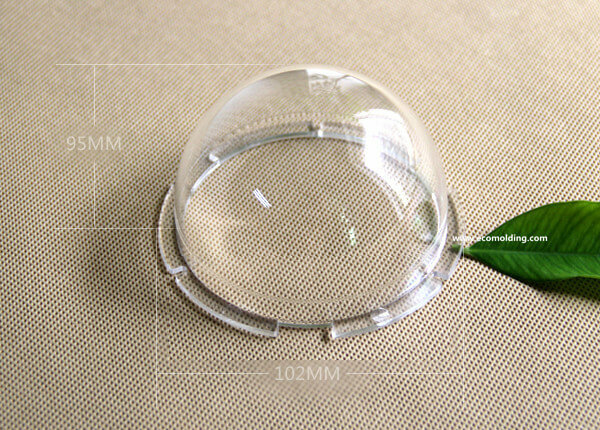 The PC material is most commonly applied for production of plastic lenses in eyewear, medical equipment, plastic auto components / parts, protective gears, greenhouse material, digital disks (CD, DVD, and Blu-ray), as well as exterior lighting fixtures. PC is also very resistant to heat and is able to be mixed with flame retardants without causing significant degradation to the material. PC is a group of engineering plastic materials, since they are able to be used for more capable and robust applications, e.g. in “glass-like” surfaces that are strongly resistant to impact. What are the different variants of the PC material? According to the publication, AZO Materials, the PC material was invented in the middle of the 20th century at the same time by GE in the US and Bayer in Germany. 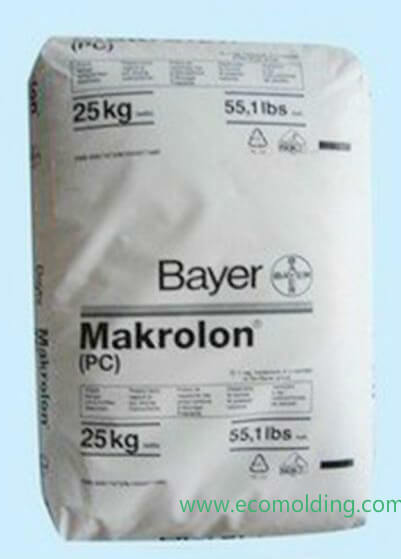 In today’s society, the material is produced by a great number of companies worldwide, each usually having their own manufacturing processes, exclusive formulas and trade names, including well known variant resins, such as Lexan® by produced SABIC, or Makrolon® produced by Bayer MaterialScience. In the market, many different industry grades of the PC materials are commercially available, most of which are referred to by their generic name (PC). Usually, they are differentiated by how much reinforcing glass fiber they contain, as well as the difference in melt fluidity among them. Some PC materials are combined with additives, such as the “UV stabilizers” that help protect it from long period direct exposure to the sunlight. PC materials that are plastic injection moldable may contain some other additives, such as mold release agents that help lubricate the mold during the injection molding process. Finished PC materials are usually sold in rods, cylinders or sheets. Is PC toxic or harmless? During the hydrolysis (the chemical breakdown of a compound due to reaction with water) process, it is very likely that some types of PC materials can be harmful when contacting with food, due to the unwanted release of Bisphenol A (BPA). The most commonly produced PC types are created by combining BPA and COCl2, but there are BPA free PC materials available, which are especially marketable for applications that involve perishable water or food. What Characteristics Does PC injection molding material Have? PC is one of the polyesters of carbonic acid, and all of the general-purpose PC materials are produced on basis of bisphenol A (BPA). In the molecules, the BPA component leads to its relatively higher glass transition temperature of 150 degrees Celsius (or 302 degrees Fahrenheit), while the rotational mobility of the carbonyl group inside the molecules allows the material to be highly ductile and tough. As an amorphous engineering material, PC features an exceptionally high resistance to impact / heat, great clarity, outstanding sterilizability, admirable flame retardancy, and good resistance to stain. The notched Izod resistance to impact of the PC materials is pretty high, with a low and consistent mold shrinkage rate of (0.1 – 0.2 mm). PC injection molding materials that have a high molecular weight (meaning the melt flow rate is rather low) usually features higher mechanical properties, but it becomes more difficult to process such grades of PC. It is a good idea to choose the PC type for a specific application on basis of the desired requirements, e.g. for high impact resistance, choose a low-MFR (Melt Flow Rate) PC; on the contrary, for optimal processability, choose a high-MFR (Melt Flow Rate) PC. The melt viscosities of PC are usually Newtonian up to shear rates of 1000 s-1 and reduce more than that. The Heat Deflection Temperature under Load usually ranges between 130 and 140 degrees Celsius (or 266 – 284 degrees Fahrenheit) and the Vicat Softening Point is usually around 155 degrees Celsius (or 311 degrees Fahrenheit). Drying Different grades of PC absorb moisture, so pre-drying is of great importance. It is recommended to dry it under 100 – 120 degrees Celsius (or 212 – 248 degrees Fahrenheit) conditions for 3 to 4 hours. Moisture content must be kept below 0.02% before the process starts. Mold Temperature 70 – 120 degrees Celsius (or 158 – 248 degrees Fahrenheit); higher temperatures for low MFR PC grades, and vice-versa. Plastic Injection Molding Pressure Keep the pressure as high as possible, to enable fast molding. What is the POM material, and what are its purposes? 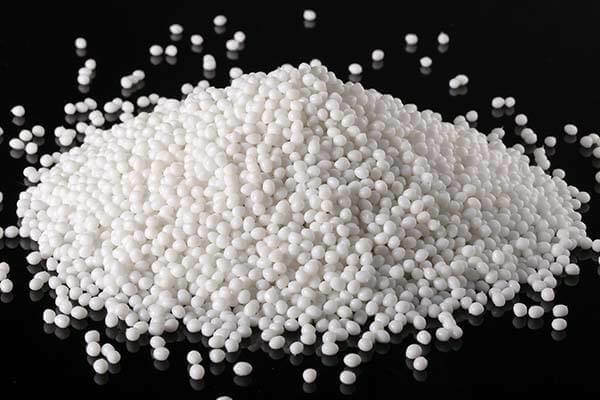 Polyoxymethylene (POM), also known as acetal, polyacetal, and polyformaldehyde, is a naturally white semi-crystalline engineering thermoplastic used in production of precision parts that require high stiffness, low friction, excellent dimensional stability, as well as high resistance to abrasion, heat, water absorption and organic chemical compounds, such as hydrocarbons. It is a plastic material featuring a very high tensile strength, with an outstanding resistance to creep, allowing it to bridge the gaps of material properties between most of the plastics and metals. Typically, the applications of POM include small size gears, home electronics, molded plastic zippers, medical equipment, and components of furniture like the plastic feet of a couch. Why is POM so frequently used? In applications that require low friction, POM is an especially useful plastic material. We choose to use POM when we need to produce strong, slippery and flexible parts (or maybe plastic parts with just one of these properties). 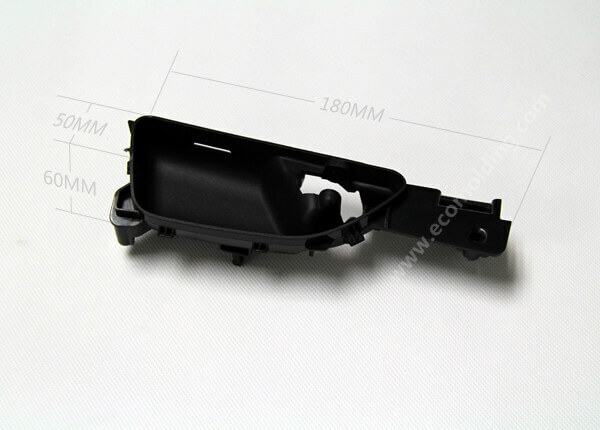 Often, we employ the POM injection molding material to realize the reduction of friction. By nature, POM is such a slippery material, that it is a perfect fit for production of sliding mechanisms and gears. Just imagine the plastic feet of a couch sliding on the wood floor in your living room. It is very likely that these “feet” are POM parts made through the plastic injection molding process. What other names does POM have? Ultraform®: the POM Copolymer plastic made by BASF located in Ludwigshafen, Germany. 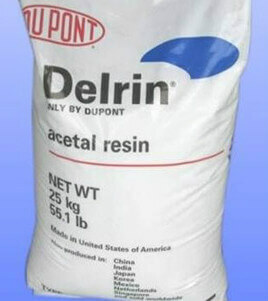 As a trademarked name of DuPont, the POM Homopolymer is often referred to as Delrin to indicate the specific resin material. Usually sold in the form of rods or sheets, Delrin is thought to be one of the most commonly used types of POM in the US market. It is the one and only Homopolymer on the list. Is POM toxic or harmless? The answer is no when the material is in a solid form. As a matter of fact, POM is frequently applied to food processing equipment and manufacturing. However, when absorbed and / or inhaled into the skin or eyes in the vapor or liquid form, POM can be toxic to people. In particular, you should be careful and follow the operation instructions closely when handling molten polymer. What properties does the POM injection molding process? POM is a strong and flexible material that shows a great resistance to creep, outstanding dimensional stability and impressive impact strength even at very low temperature conditions. With regard to grades, POM is either copolymers or homopolymers. Homopolymers usually feature better ultimate tensile strength, resistance to fatigue and ideal hardness, but it is not easy to process. Comparatively speaking, copolymers are better in terms of thermal stability, resistance to chemicals and processability. What they have in common is that both of them are crystalline and absorbs little moisture. With regard to processing temperature, copolymers can be used continuously under temperature conditions of up to 100 degrees Celsius (or 212 degrees Fahrenheit); homopolymers are slightly more resistant to high temperatures. A great number of grades of the POM material are available in the market, allowing customization for different application projects. Due to the relatively high crystallinity level of POM injection molding materials, higher shrinkage levels of 0.02 – 0.035 mm is caused. On reinforced grades of POM, differential shrinkage can be observed. Drying Drying is not usually required for POM, but it is better to store the material in a dry environment. Melting Point 180 – 230 degrees Celsius (or 356 – 446 degrees Fahrenheit) for homopolymer; 190 – 210 degrees Celsius (or 374 – 410 degrees Fahrenheit) for copolymer. Mold Temperature 50 – 105 degrees Celsius (or 122 – 221 degrees Fahrenheit); precision molding requires higher mold temperatures, because it can reduce post-molding shrinkage. What Is the Nylon Material, and What Are Its Purposes? The Nylon material can be used in a great diversity of application projects, including clothing, rubber material reinforcement such as car tires, applications as a rope or a thread, as well as a great number of plastic injection molded vehicle parts and mechanical equipment. It is especially strong, resistant to abrasions, moisture absorption and chemicals, as well as durable, elastic and easy to clean. Nylon is able to be used to replace the low strength metal materials. By virtue of its strength, temperature resilience and chemical compatibility, it is the ideal plastic material for production of vehicle engine components. 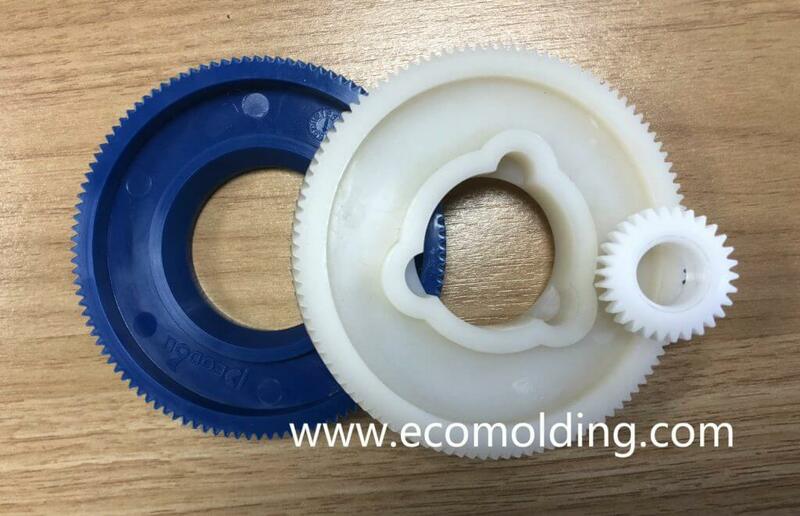 The Nylon plastic injection molding is also able to be used in conjunction with a great number of additives for production of various variants with an extensive range of different features and properties. Now, let’s take a look at how a composite gear is made by combining both Nylon and carbon. Nylon, usually referred to as “PA” (chemical designation, e.g. 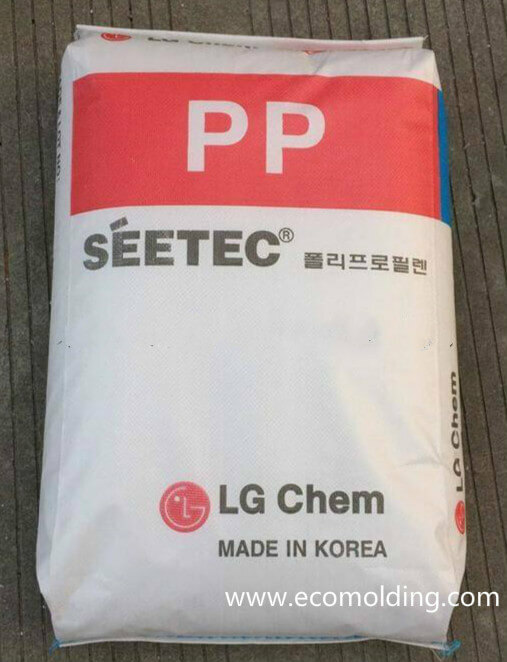 PA 6 or PA 6/66), often comes in black, white or its natural color (off white or beige). Nylon 6/6 is perhaps one of the most commonly seen variants for engineering applications. Thanks to the fact that it can be extruded, nylon 6/6 is a good choice for both plastic injection molding and 3D printing. Its high melting point makes the material an ideal replacement for metals in applications under high temperature conditions (e.g. in the engine compartment of a car). What Characteristics Does Nylon Have? Since we have already known the purposes of the nylon plastic injection molding material, now let’s take a look at some of its key properties and features. The Nylon plastic is a condensation copolymer that consists of several different types of monomers combined with each other. It is able to be produced in many different ways, usually starting with distillation from crude oil, but is also able to be made from biomass. Nylon falls into the thermoplastic (as opposed to “thermoset”) material classification, which describes how the material responds to heat. When heated to their melting temperature, the thermoplastic materials will liquefy (a temperature as high as 220 degrees Celsius for the Nylon plastic). One of the major advantages of the thermoplastic materials is that there will be no significant degradation after they go through the process of heating to their melting temperature, cooling and reheating. Thermoplastics like the ABS plastic will not burn. Instead, they will become liquid, so they can be easily injection molded and then recycled. On the contrary, the thermoset plastic materials only allow for one-time heating (especially during the plastic injection molding process). When being heated for the first time, the thermoset materials will set (like a 2-part epoxy), leading to a chemical alteration that is impossible to reverse. If you ever try to heat a thermoset plastic material to a very high temperature for a second time, it will burn. This is the characteristic that defines the thermoset plastics. What Are The Different Variants of the Nylon Material? Despite the fact that the Nylon injection molding plastic was first discovered and patented by Dupont’s Wallace Carothers, it was not produced (as Nylon 6) until 3 years later in 1938 by a German research chemist, Paul Schlack who then worked at IG Farban, by employing a different approach. At present, it is now produced by a great number of companies worldwide, each usually having their own manufacturing processes, exclusive formulas and trade names. The most commonly used types of nylon are Nylon 6, Nylon 6/6, Nylon 66 and Nylon 6/66. The numerals in the nomenclature indicate the quantity of carbon atoms between acid and amine groups, while the single digits, such as 6 mean that the plastic is produced from a single monomer in conjunction with itself (i.e. the molecule in general is a homopolymer), the two digits, such as 66, mean that the plastic is produced from several monomers in conjunction with one another (comonomers), and the slash means that the plastic is made up of multiple comonomer groups in conjunction with one another (that is to say it is a copolymer). In addition, the nylon material is also able to be negatively affected by exposure to UV rays mainly from direct sunlight. As a result, before the plastic injection molding process, a UV stabilizer is usually added to the plastic. Dry Since the PA6 material is prone to moisture absorption, we need to guarantee its dryness before the plastic injection molding process. When the material is shipped or delivered in waterproof packages, the containers should be tightly closed. Mold Temperature 80 – 90 degrees Celsius (176 – 194 degrees Fahrenheit). The mold temperature has a significant influence on the crystallinity level of the material, which in turn greatly influences its mechanical properties. For parts which require a high degree of crystallization, like structural parts, the recommended mold temperatures are 80 – 90 degrees Celsius (176 – 194 degrees Fahrenheit). 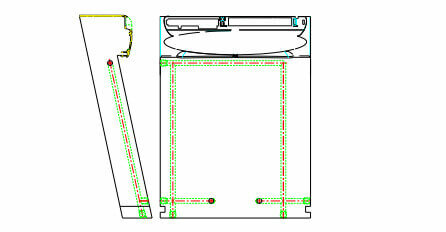 As for thin-wall parts with long flow lengths, higher mold temperatures are recommended. Although the strength and hardness will Increase with the mold temperature, the toughness will reduce. If the thickness of the wall is larger than 3 mm, we will recommend a cold mold (20 – 40 degrees Celsius / 68 – 104 degrees Fahrenheit), so as to ensure a higher and more uniform level of crystallinity. For glass reinforced materials, the recommended mold temperatures are always higher than 80 degrees Celsius (176 degrees Fahrenheit). With regard to unfilled nylon grades, the shrinkage rate is usually between 0.01 and 0.015 mm/mm (1 – 1.5%). The addition of glass fibers is able to limit the shrinkage rate to 0.3% in the flow direction (but may be up to 1% in the cross-flow direction). Mainly, the crystallinity and moisture absorption levels are the 2 factors that affects the post-molding shrinkage rate, while the actual shrinkage rate is a result of multiple combined conditions, including part design, wall thickness and processing environment. What Is the Polypropylene (PP) Material, and What Are Its Purposes? Polypropylene, commonly known as PP, is a thermoplastic addition polymer made by combining several propylene monomers. It features a wide range of applications that include packaging of consumer products, plastic components for such industries as the automotive industry.Relatively speaking, the surface of the PP plastic is very slippery, so in some low-friction applications, it can be used to replace some plastics like polyacetal (POM), or used as a contact point for furniture. One of the weaknesses of this property might be that it is not easy to adhere PP to the surface of other materials (it does not bond ideally with certain types of glues, so sometimes it needs to be welded when it is required to form a joint). PP is slippery at the molecular level, but it has a relatively high friction coefficient. As a result, POM, nylon or PTFE will sometimes be used instead of it. When compared with other common plastics, PP also has a relatively lower density, meaning weight reductions for producers and sellers of injection molded PP products.The features described above and below demonstrate that the PP material can be used in a great number of applications: safe plates of a dishwasher, food trays and cups, etc., as well as opaque to-go containers and an extensive range of toys. Mold Temperature 20 – 80 degrees Celsius (68 – 176 degrees Fahrenheit); suggested: 50 degrees Celsius (122 degrees Fahrenheit). The mold temperature is the factor that determines the crystallinity level. Generally speaking, for PP injection molding process , a fast speed is usually adopted to keep the internal stresses at the lowest possible level; in case of surface defects, it is preferred to use a slower molding speed at higher temperature conditions. It is strongly recommended to employ machines that are able to provide profiled speed. With regard to the cold runner molds, the commonly used diameters is between 4 to 7mm. We recommend the application of full round sprues and runners. It is OK to employ all types of gates. Typically, the diameters of a pin gate is set between 1 to 1.5mm, but it is also possible to use diameters of as low as 0.7 mm. When it comes to edge gating, the depth of the gate should be kept no lower than half of the wall thickness, but it should be at least twice as wide as the thickness. On the other hand, the hot runner molds are able to be directly used for thePP injection molding . What Advantages Does PP injection molding Have? PP is easy to access and not expensive. PP possesses a high flexural strength by virtue of its semi-crystalline property. PP is characterized by a relatively slippery surface. PP is rather resistant to moisture absorption. PP is chemically resistant to an extensive range of bases and acids. PP is very resistant to fatigue. PP possesses great resistance to impact. PP can act as a great electrical insulator. What Disadvantages Does PP injection molding Have? PP has a high thermal expansion coefficient which limits its high temperature applications. PP is sensitive to UV. PP is not strongly resistant to chlorinated solvents and aromatics. It is not easy to paint on PP, due to its poor bonding properties. In spite of its weaknesses, PP is still a great material. It features a diversity of unique qualities that cannot be found in any other materials, making it an ideal choice for a diversity of application projects. What Properties Does Polypropylene Have? When producing PP injection molding, propylene polymerization is performed by involving stereospecific catalysts. Usually, it is isotactic PP that is produced (the methyl groups is lying on one side of the carbon chain). 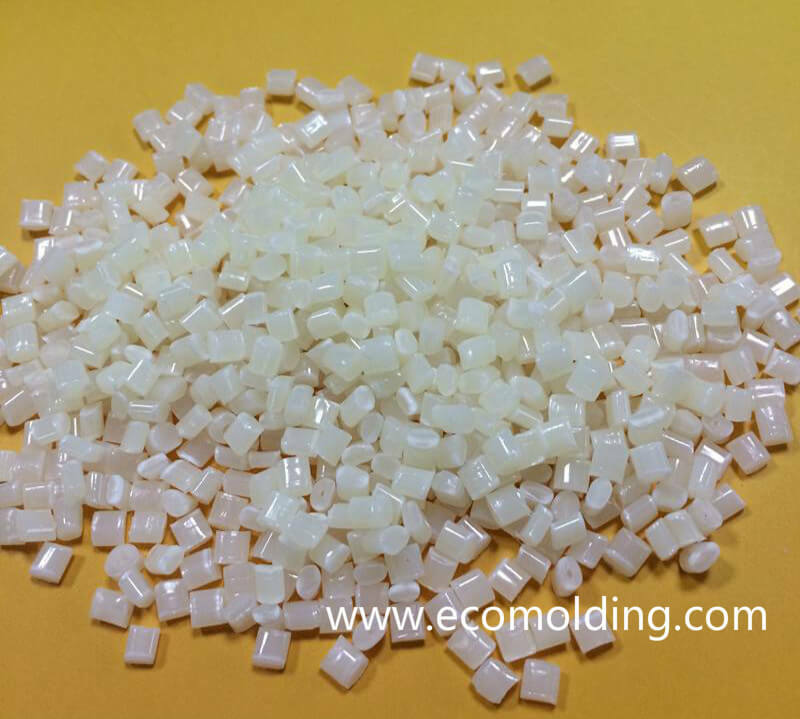 Due to the ordered molecular structure, this linear plastic is semi-crystalline, which is stiffer and has a higher melting temperature than PE. The PP homopolymer will become fragile when the temperature is higher than 0 degrees Celsius (32 degrees Fahrenheit). For this reason, many grades of PP available in the market are random copolymers with 1 – 4% ethylene or block copolymers with a higher ethylene proportion. Copolymers possess a lower heat distortion temperature (approx. 100 degrees Celsius / 212 degrees Fahrenheit), less clarity, surface gloss and rigidity, but a greater resistance to impact. When the ratio of ethylene increases, this material will become tougher and tougher. Its Vicat softening temperature is about 150 degrees Celsius (302 degrees Fahrenheit). For these materials, the surface hardness and resistance to scratch are higher thanks to the higher levels of crystallinity. The PP plastic is not prone to stress cracking. It is usually adjusted by adding glass fibers, mineral fillers or thermoplastic rubbers. The melt flow rate of the PP material ranges between 1 and 40; materials with a lower melt flow rate feature a better resistance to impact but a lower tensile strength. When compared with homopolymer of the same melt flow rate, the copolymer appears to be tougher. Its viscosity leads to more shear, while being more temperature sensitive than PE. By virtue of its crystallinity, the shrinkage rate of PP is quite high (0.018 – 0.025 mm/mm or 1.8 – 2.5%), but its shrinkage is more uniform than that PE-HD (the variance in flow and cross-flow shrinkage is usually lower than 0.2%). Increase of glass by 30% is helpful with reducing the shrinkage rate to about 0.7%. 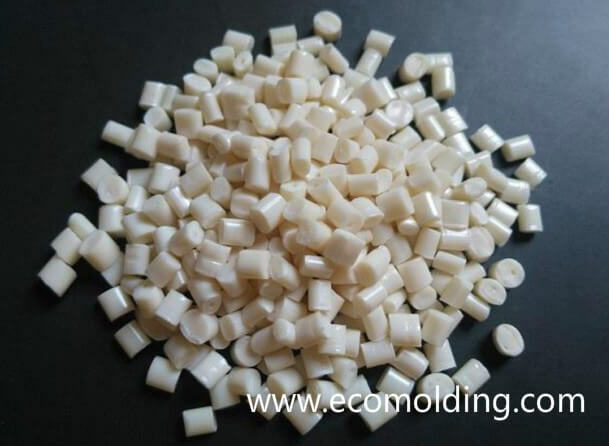 Both the homopolymer and copolymer PP injection molding materials are strongly resistant to moisture, as well as chemicals like acids, alkalis and solvents. But, it does not offer excellent resistance to aromatic hydrocarbons, like benzene, as well as chlorinated hydrocarbons, like carbon tetrachloride. And, under high temperature conditions, its resistance to oxidation is not as strong as that of the PE plastic. What Is the ABS Material? 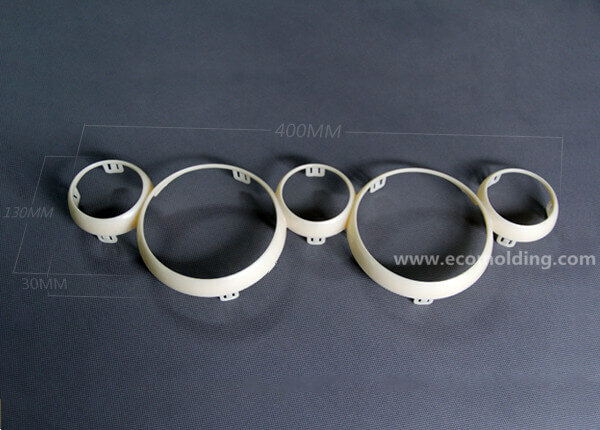 Commonly known as ABS, Acrylonitrile Butadiene Styrene is an opaque thermoplastic polymer. ABS is amorphous and therefore has no true melting point. Thermoplastic (VS “thermoset”) describes how the ABS plastic responds to heat. A thermoplastic material becomes liquid when heated to a certain temperature level (105 degrees Celsius in the case of ABS material). Significant degradation will not happen after they go through the process of heating to their melting point, cooling and reheating. Thermoplastics like the ABS plastic will not burn. Instead, they will become liquid, so they can be easily injection molded and then recycled. On the contrary, the thermoset plastic materials only allow for one-time heating (especially during the plastic 1injection molding process). When being heated for the first time, the thermoset materials will set (like a 2-part epoxy), leading to a chemical alteration that is impossible to reverse. Why Is ABS So Commonly Used? The ABS plastic is strongly resistant to chemical corrosion, as well as physical impacts. It allows very easy machining and features a very low melting point, making it a perfect fit for the plastic injection molding process and 3D printing via a fused deposition modeling (FDM) machine. And, relatively speaking, ABS is inexpensive, of which the cost usually falls between those of Polypropylene (PP) and Polycarbonate (PC). Because of its low melting temperature, the ABS material is usually not applied in high heat conditions. By virtue of these properties, ABS can be widely used in a great number of project applications across an extensive range of trades. What Are the Purposes of the ABS Plastic? The ABS material can be used in a wide range of applications, among which the most commonly seen ones are computer keyboard keys, housing of a power-tool, the plastic protective covering of wall sockets (usually a blend of PC and ABS) and LEGO parts. Is ABS Toxic or Harmless? ABS is deemed relatively harmless, since it does not contain any known substances that cause cancer, and exposure to it does not result in any known adverse effects on health. However, ABS is usually not a good fit for production of medical implants. What Properties Does the ABS Material Possess? As its name indicates, ABS is composed of 3 monomers: acrylonitrile, butadiene and styrene, each of which passes on different properties: hardness, and resistance to chemical & heat from acrylonitrile; processability, surface gloss and strength from styrene; toughness and resistance to impact from butadiene. With regard to morphology, ABS is amorphous. Through polymerization, the 3 individual monomers combine into a terpolymer with 2 phases: a continuous phase of styrene-acrylonitrile (SAN) and a dispersed phase of polybutadiene rubber. The ratios of the 2 monomers and the molecular structure of the 2 phases affect the properties of the ABS material, which allows product design great flexibility, and subsequently, hundreds of different grades are made available on the market. Thanks to these available grades, varied characteristics, such as low to high impact resistance, low to high surface gloss and low to high heat distortion are made possible. In the paragraphs that follow, we would like to dive deeper into the ABS injection molding process. ABS features a fluidity that is between that of PS and PC .This influences the injection molding temperature and injection molding pressure, and vice versa. As a result, to lower melt viscosity and improve the cavity filling performance, a higher injection molding pressure is usually applied. What Are the Injection Molding Processing Conditions of ABS? Dry ABS tends to absorb moisture, so it is required to be dried prior to processing. It is suggested that the ABS is dried under 80 – 90 degrees Celsius conditions for at least 2 hours, so as to restrict the moisture content of the material to less than 0.1%. Material Pre-treatment: The moisture absorption rate of the ABS plastic is around 0.2% – 0.8%. For common ABS grades, drying must be performed prior to processing. It needs to be dried under 80 – 85℃ conditions for more than 2 – 4 hours or baked in a drying hopper at 80℃ for 1 – 2 hours. Usually, the regrind material should be kept within 30%, while no recycled material should be used for the Plating Grade ABS material. 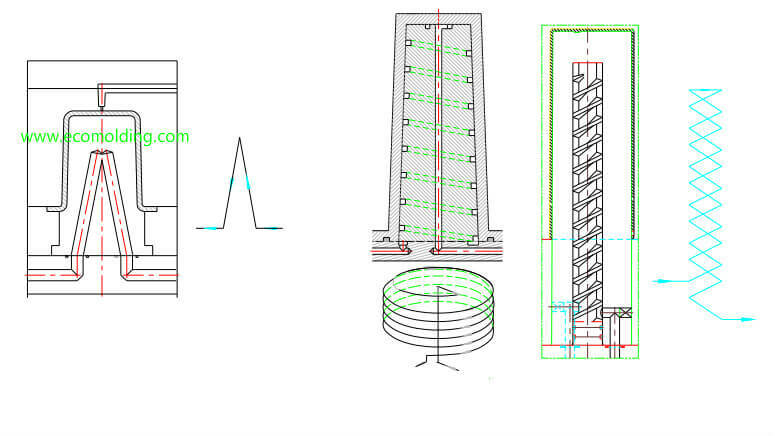 Gate & vent design: the diameter of the channel should be set at 3mm and the thickness is kept the same as the part, gate length should be less than 1mm, the width of the vent hole is set between 4 and 6mm, and the thickness between 0.025 – 0.05mm. Speed of Injection Molding: For flame resistant grade ABS material, a slow injection molding speed should be applied. If product surface is highly required, a high speed or multi-stage injection molding should be applied. To avoid wear, the back pressure should be minimized as much as possible, usually 5 bar. That said, a high back pressure is able to ensure a uniform mixing. Secondary Operations: The ABS material can also be used in secondary operations, e.g. ultrasonic welding and decorated moldings, which follows the hot stamping, pad printing or laser marking processes. After being melted, some grades of the ABS plastic (in particular, the flame retardant ones) strongly adhere to the screw surface, and it will break down after staying on the screw for a certain period of time. Therefore, you need to regularly clean the screw with PS. 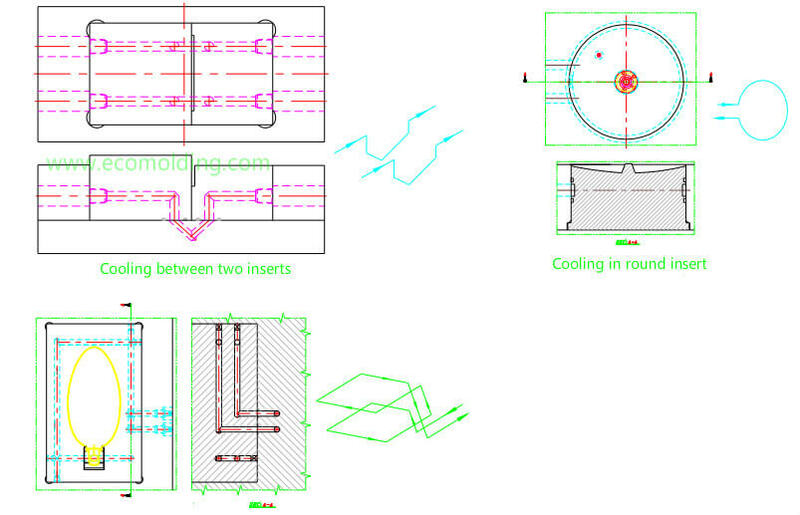 That’s all about the ABS injection molding process and I hope this could be of help to you. We are a injection molding manufacturer offering a diversity of plastic mold products. Please don’t hesitate to contact us for more information. How to design the wall thickness for plastic product? When designing a plastic part, its wall thickness must be carefully identified by properly considering the balance among weight, geometry and budget. For instance, though the thick plastic walls offer greater strength, they tend to warp when cooled in the manufacturing process. Among all the design elements, the thickness of a wall exerts the largest impact on production cost, efficiency and the quality of the final product. The wall thickness of a part is subject to no restrictions at all, but generally speaking, our ultimate goal would be to create a wall that is as thin as possible while also taking the structural requirements, overall dimensions and the geometry of a part into consideration. Another factor to be considered is the flow behavior and qualities of the resin materials. During the injection molding process, a consistent thickness is of critical importance to cooling; if some parts of a product are thinner or thicker than the rest, the product might not be strong enough to withstand warping, cracking, twisting and overall failure. A consistent wall thickness is able to minimize shrinkage rate, as well as residual stress of the final product. If a fully uniform wall thickness is not possible, it is better to maintain gradual thickness variations, so as to maintain design stability. For a product made from high-mold-shrinkage plastic materials, the variations in wall thickness should not exceed 10%, even with gradual variations to cope with possible stress concentrations. A consistent wall thickness is also able to guarantee that the resin flows through a tool in the most efficient and uniform way, so as to achieve ideal processing. On the other hand, if there are variations in the wall thickness, air trapping, unbalanced filling and weld lines might be caused, as the molten plastic tends to take preferential flows. Why choose plastic injection molding? The plastic injection molding process is proved to be the most commonly applied and most efficient way of injection molding, as evidenced by the several solid reasons. When compared with other processes, plastic injection molding is really fast, and more efficient and cost effective thanks to its high productivity. Though production speed is dependent on mold complexity and size, it only takes about 15 – 120 seconds between each production cycle. With such a short interval between production cycles, a larger number of molds are able to be produced in a very limited time period, thus maximizing revenue and profit for the client. 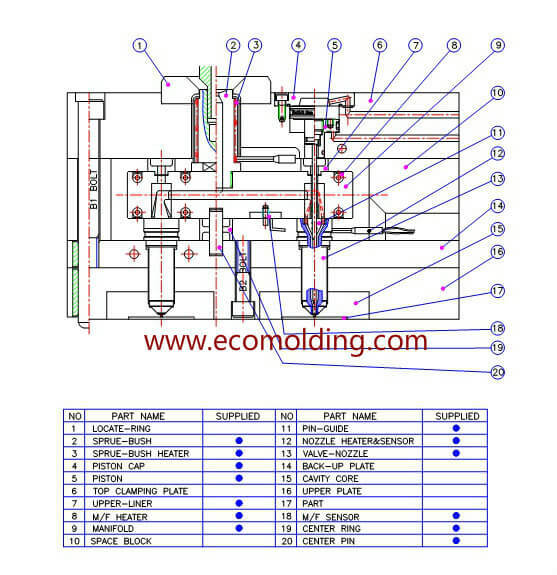 We produce parts 24/7 at ECO Molding by using a material requirement planning system (MRPS). Although this system is not able to replace a manufacturing manager with regard to input and experience, it is really helpful in enhancing production efficiency within the production facility, and in return, this will ensure savings for our clients. The injection molding process has the ability to deal with very complicated product designs, while ensuring uniformity, by making hundreds of thousands of virtually the same parts. During the design process, we will take all key elements into consideration, in an effort to optimize the efficiency of injection molding in a large volume, and at the same time maximize part precision and quality for you. First of all, part design has to be developed with the aim of maximizing the effectiveness of large volume plastic injection molding. When design is done right, the part can be produced consistently with high quality. If a good design is not in place, costly mistakes might occur during the process. Most professionals in the molding industry see eye to eye that the fundamental design elements in the plastic injection molding process have to work correctly, including wall thickness, rib design, boss design, corner transition, weld line, as well as gate/vent arrangement. One of the key elements that need to be identified during the design process of a plastic injection molded part is strength. Designers need to have sufficient expertise on whether the desired part is required to be flexible or rigid, so they can make appropriate adjustments to the integrating ribs or gussets. In addition, it is also very important to know how the client is going to use the part, as well as what conditions the part will be exposed to. It is better to strike a balance between design considerations, because it is able to help address your needs for part strength and stability. Another key role defining the part strength is selection of materials. In the text below, you can find more information on resin types used in the plastic injection molding process. 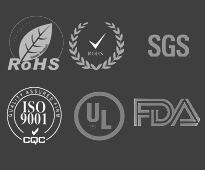 When you are looking to partner with an injection mold maker who possesses a large volume injection molding capacity, it is of great importance to consider the manufacturers who advocate the Green Manufacturing initiatives, because these can indicate their commitment to product quality, sustainability and great safety. It is inevitable for the plastic injection molding process to generate excess plastic. So, you need to find a mold maker who has put a recycling system in place for the excess plastics. 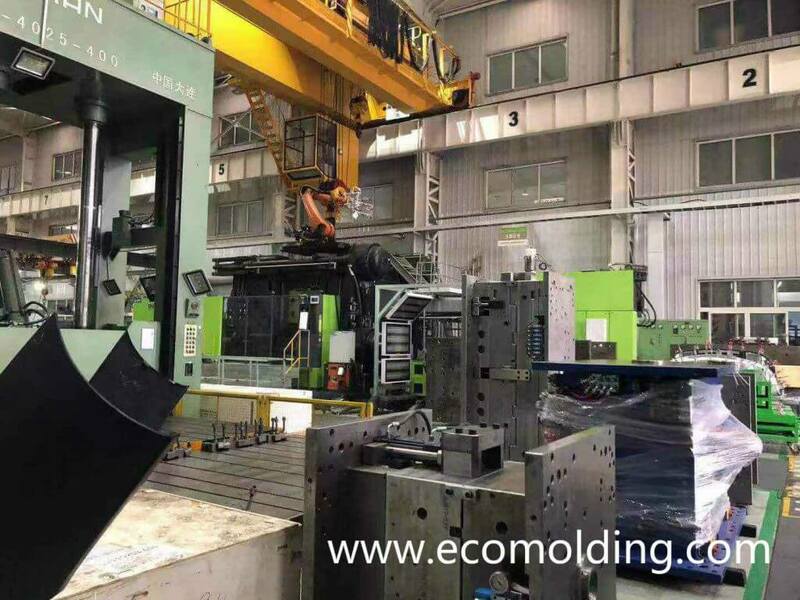 To minimize waste, transportation and packaging, the most environmentally friendly plastic injection mold makers will look to employ cutting edge machinery to achieve the targets. The plastic injection molding process is typically associated with a lower labor cost when compared with other molding methods, which should be attributed to its ability to produce parts to a high quality standard and with a high output rate. During injection molding, minimal supervision is required, as the molding equipment usually runs with a self-gating and automatic tool to keep production streamlined and ongoing. Plastic refers to the numerous organic synthetic materials that are mostly polymers of high molecular weight. Currently, it is one of the 3 synthetic materials that are indispensable for our day-to-day life, while the other 2 are synthetic rubber and synthetic fiber. 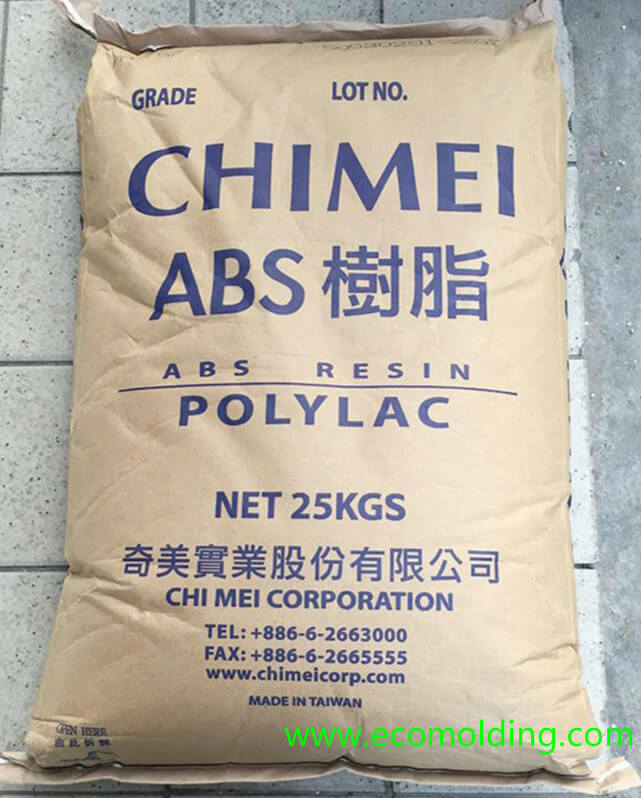 Natural or synthetic resin, the main ingredient of plastic, is often mixed with a variety of additives, so that the material can be molded into desired shapes under certain temperature and pressure conditions, and maintain the shape at room temperature. As a high molecular compound, plastic molding can be processed with various methods, each of which is a blend of pros and cons, and suitable for specific applications. Now, let’s see how plastic is molded through some relevant interesting animations. Injection molding is a parts manufacturing process by injecting plastic molding material into a mold, of which the main method applied is injection molding. In this process, the plastic is loaded into a hopper, which will then feed the plastic into a heated injection unit. After being pushed through a long chamber with a reciprocating screw, the plastic material is melted into fluid. An injection nozzle is located at the end of the chamber, through which molten plastic is forced into a cold, closed mold. After the plastic is cooled and solidified, the semi-finished product will be ejected from the mold. Plastic extrusion is a process for massive production, in which the plastic material is melted into a continuous shape. The extrusion process is usually applied to produce films, continuous sheets, pipes, profiles, bars, coating wires, filaments, cords and cables, etc. Together with the injection molding machine, the dried plastic material is loaded into a hopper and fed into a long heating chamber. At the end of the chamber, the material is forced out from a small opening or into a mold that’s in the shape of the desired product. As the plastic leaves the mold, it will be cooled down on a conveyor belt. A blower is sometimes involved in this process to facilitate cooling. Blow molding process is applied to produce hollowed plastic products. Making use of air pressure, this post-forming technology blows the rubbery state parison in a closed cavity into a hollowed product. Thermoforming is a special manufacturing process which shapes the thermoplastic material into various products. The plastic sheet fixed on a frame is heated, softened, and then pressed against the molding surface under an external force, so as to mold it into the desired shape. After being cooled and trimmed, the desired product is obtained. This process is also applicable to rubber manufacturing. In recent years, thermoforming has witnessed all-new progress, e.g. the continuous production technology from sheet extrusion to thermoforming. The 2nd animation shows the thermoforming process that involves 2 plastic sheets. Compression molding is the most commonly applied process for thermosetting materials. Usually, it is not applied to thermoplastics. In this process, the material is compressed into the desired shape. 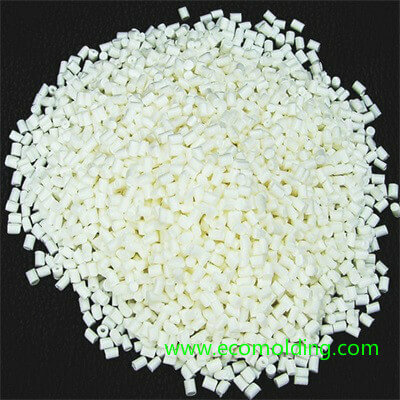 Plastic molding powder and other additives are added into the mixture to create special properties. When the mold is closed and heated, the material will be hardened to form the desired shape. The appropriate temperature, pressure and time duration applied in the process is dependent on the desired result. Calendering is a finishing process of heavy leather. When heated, the plasticity of the fiber is utilized to smoothen textile surface or create fine-grained parallel diagonals on the surface, so as to improve textile glossiness. After feeding, the material is heated and softened, then shaped into a sheet or film, and finally cooled down and rolled up. The most commonly calendered material is PVC. Pultrusion refers to the process where the blank is put under an uneven pressure from 3 different directions, and then extruded from mold opening or crevice, so as to reduce the sectional area and increase the length for production of the desired product. This blank forming process is referred to as pultrusion. Often known as suction forming, vacuum forming is a plastic processing technology by which a hard plastic sheet is vacuum-compressed against the mold surface after being heated and softened. After cooling, the desired product is produced. This process is widely applied in industries like plastic packaging, lighting, advertising, decoration and more. Also known as rotational moulding or rotomolding, the rotational plastic molding process firstly feeds the plastic material into the mold, which will keep rotating along the 2 vertical axes while being heated. Under the influence of both gravity and heat, the plastic inside the mold will gradually and evenly spread over and stick to the entire surface of the mold cavity. After cooling and ejection, the desired product will be made. 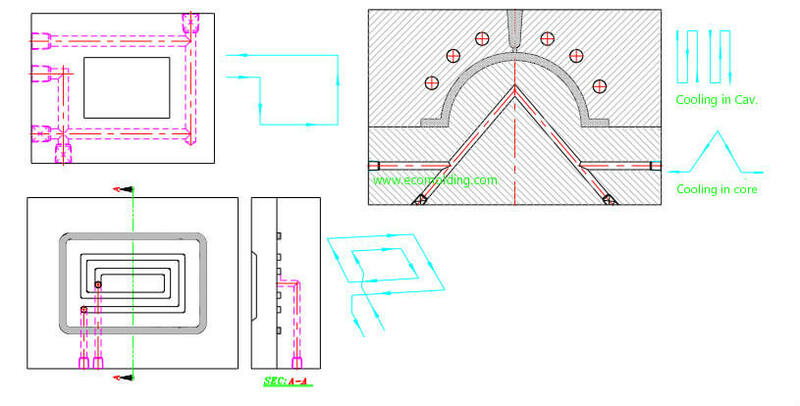 The cold runner of a plastic injection mold refers to the section between the mold inlet and the gate. The molten plastic maintains its fluidity inside the runner by virtue of the injection pressure and its own heat. However, as a part of the molding material, the runner is not a product. 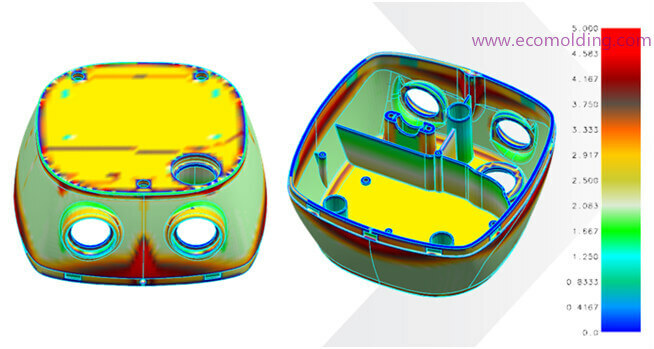 As a result, when designing a mold, we need to consider not only the filling effects, but also the material-saving effect produced by shortening or downsizing the runner; but in actuality, it is not easy for us to have the best of both worlds. When applying the hot runner technology, the proper selection of gate type is of critical importance, because gate type directly determines the selection of hot runner components as well as manufacturing and application of molds. Therefore, the hot runner system can be classified into 3 types based on the gate type, i.e. (1) hot tip hot runner system, (2) sprue gating hot runner system and (3) valve gating hot runner system. It is the most widely applied hot runner , since each supplier provides this system. Though systems from different suppliers feature different nozzle and nozzle insert of different shapes and sizes, they work precisely the same way, which is precisely adjusting and controlling the plastic injection molding temperature at the gate through an approach that combines the insert hot tip at the front of the nozzle with the cooling system. As a result, the material and design shape of the nozzle insert hot tip are of great importance. Each hot runner supplier has invested a lot in the R&D of hot tip. The hot tip hot runner system can be applied to process the majority of crystalline and non-crystalline plastic materials, such as PP, PE, PS, LCP, PA, PET, PBT, PEEK, POM, PEI, PMMA, ABSPVC, PC, PSU and TPU, etc. Generally speaking, the hot tip gate is used to produce medium and small sized parts, esp. suitable for production of micro parts. 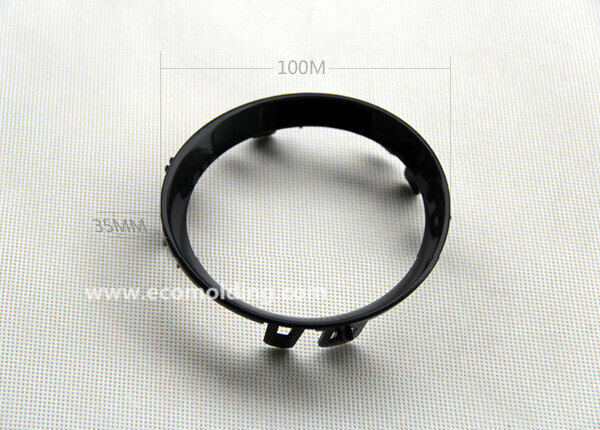 The sectional diameter of the gate usually measures between 0.5mm and 2.0mm. In the sprue gating hot runner, the plastic material enters the mold cavity through the smooth open pipe. Melt flow pressure loss in the gate area is slight. The sprue gating hot runner system is more suitable for production of medium and large sized parts. The advantages that the sprue gating hot runner system brings is that the molten plastic undergoes a low shear rate when flowing through the gate, so the molded part will feature a smaller residue stress, leading to a minor deformation rate and a greater mechanical strength of the part. 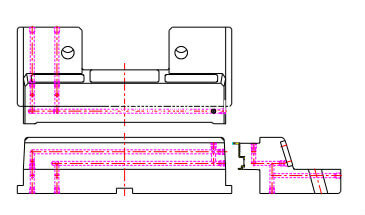 Compared with the hot tip hot runner system, the gate mark might be more visible due to the larger size of the sprue gating. So, the sprue gating hot runner system is usually applied to internal parts or components that do not have high aesthetic requirements on gate appearance. Also, the sprue gating is often used in combination with the cold runner, i.e. taking the sprue nozzle as the main runner, and designing the sprue gating along the cold runner. In the application, the sprue gating can be bigger to facilitate plastic flow, because no one cares about the gate marks on the cold runner. The valve gating hot runner is another widely applied hot runner system that is supplied by global mainstream suppliers. Through the valve pin controller, this system mechanically opens or closes the gate at the pre-set time. This type of hot runner system possesses the advantages beyond the reach of the previous 2 systems (Hot Tip Hot Runner System & Sprue Gating Hot Runner System), such as controlling the gate open/close time manually, allowing a smooth and glossy gate, and expanding the technical scope of hot runner application. The cooling system purpose is to ensure uniform cooling of the molded product and then eject the product out within a short period of time. The layout of the cooling channel plays an important role in the injection molding quality as well as the production cycle (cost) of a product. Influence on Quality: During the injection molding process, the cooling channel is used to control mold temperature, of which the fluctuation has a direct influence on product shrinkage, deformation, dimensional stability, mechanical strength, residue cracks and surface quality, etc. Mainly include: surface glossiness, residue stress, crystallinity and thermal flexure. Influence on Production Cycle: An injection molding cycle is mainly composed of the following steps. Reducing the cooling time means an improvement in the injection molding efficiency.